"All of the providers I have seen have been smart, compassionate, and helpful." "Love the staff and the doctors here." "Dr. Beer is such a unique and pleasant surprise. Thank you for your true patient care!" "Dr. Beer is amazingly kind, intelligent, and knows his stuff." "Dr. Beer is great. He offers a unique approach to my problems." "I have been a patient of Dr. Beer for many years." Our unique practice model provides both primary care and the specialized services of functional medicine. 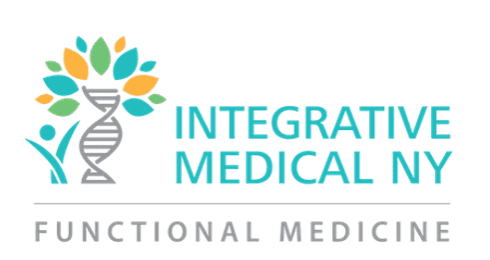 At Integrative Medical NY, patients find a wide range of services to heal from chronic disease, gain more energy, and live fuller, healthier lives. With an emphasis on functional, holistic, and integrative medicine, the practice serves individuals in New York City and the surrounding communities. The foundation of functional medicine allows the Integrative Medical NY team to diagnose and treat illness with many different approaches. The practice is led by Dr. Maurice Beer and nurse practitioners Jessica Berarducci, Shoko Karakilic, and Mary Beth Charmo. Guided by the principle that healthcare should be personalized and unhurried, the team uses a medically-informed model with more natural solutions to help patients heal. From customized nutrition programs and hormone replacement therapy to mindfulness strategies and lifestyle modifications, the team aims to resolve the cause of disease and provide individuals with a plan to sustain lifelong health. The providers at Integrative Medical NY know people who understand their bodies are more likely to stay healthy. With a commitment to patient education, mind-body harmony, and demystifying complex medical problems, the practice helps individuals become their health advocates and provides them with tools for long-term well-being. "Dr. Beer spends as much time with you as needed, never pushing you out of the office or quickening your visit to suit his or his office's schedule." "Dr. Beer is a breath of fresh air in New York City. His knowledge is vast and his nuanced/holistic approach is unique. Not to mention, his bedside manner is fantastic." "Dr. Beer has been helping me manage and recover from a very debilitating disease. He reads up on the newest treatments and starts off every visit by listening." "I have had only good experiences here. Dr. Beer is a thoughtful and caring physician who engages and listens to you." "Dr. Beer is the most incredible PCP I've come across. He is extremely compassionate, incredibly smart, and perceptive." "Dr. Beer is truly an exceptional doctor who listens to his patients and truly cares about them. Truly a gem of a practice! I hope he never retires." "Dr. Beer is systematic in his approach, kind, gentle, and exceptionally smart. Dr. Beer is truly special...I will continue to see him forever."